Paradigm PR | How Do You Know If A Project Is Successful? We often get asked by clients how they should measure the success of their social media activities or how they know if a campaign was successful? That’s a bit like asking: how long is a piece of string? Well that entirely depends on the desired outcome. 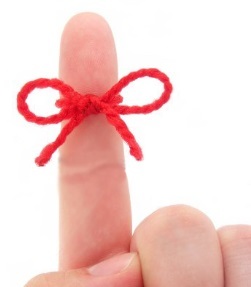 If you are tying it around your finger to remember something (BTW there are now apps for that http://www.any.do/anydo) or flying a kite, the string will need to be different lengths. The same can be said for social media, or any other marketing campaign: whether or not a campaign is successful depends on what your objectives are at the outset. What you are trying to accomplish dictates how and what you measure. Whether you are trying to build a following, increase engagement with current fans or drive followers to a promotion, they all require different metrics and tools to determine if they were successful. It all starts with setting the right objectives, and, here’s a helpful hint – the more specific you are with your objectives, the more accurately you can measure the outcomes and determine success. At Paradigm we are fans of SMART objectives (specific, measurable, actionable, relevant, time related). You can read more about them here or here. Whether you use this method, or have another one that you use (please share) remember that measuring success starts with setting the right objectives. Align your social media objectives with business objectives and then determine what kind of tracking and measurement tools you need before you begin a campaign.